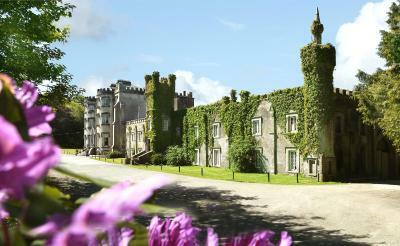 Lock in a great price for Ballyseede Castle – rated 9.3 by recent guests! I loved the grounds! The dogs were adorable and the staff was amazing. The breakfast was one of my favorites the whole three weeks we were abroad. Outstanding from start to finish!! Delicious evening meal, beautiful castle, amazing breakfast. This was the best experience ever. My daughter and I loved this place. The staff was amazing. So helpful and friendly. Loved the dogs! We will be back again! We were met by Stella at the Reception and she helped us with our luggage to our room. Before she left she asked if we needed anything else and spent time patiently answering our questions about the best places to go, how to get there and what to expect. It started off our short break well and the breakfast staff, especially Joe were all so friendly and professional. Breakfast was a delight. Wonderful experience for my wife and I. Ballyseede Castle is a really nice romantic get away. 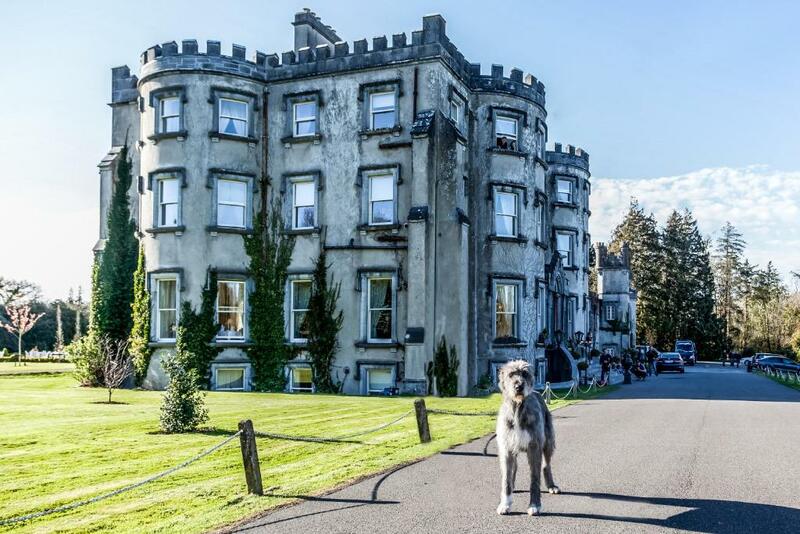 Oh, the two Irish Wolfhounds roaming the grounds added to the ambiance of the castle. The castle is incredible and sevice unparalleled . The ambience and the grounds were beautiful. The rooms truly exceptional and the service attentive and friendly. The experience was a real highlight of the trip. So beautiful! Staff made us feel like royalty. We will never forget Einstein the pub dog and his amazing game of fetching and counting his rocks. We loved the wolfhounds, too. So graceful and gentle. We wish we could have stayed longer! Wonderful stay! The castle grounds and our room were beautiful, the meals were excellent and staff friendly and helpful. Loved getting to explore the area around the castle and meet the resident Irish Wolfhounds, Molly and Higgins. 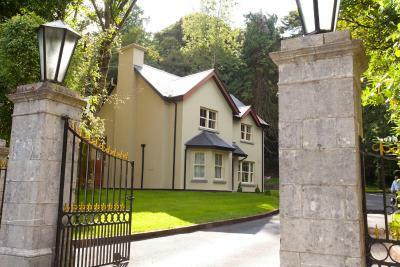 Ballyseede Castle This rating is a reflection of how the property compares to the industry standard when it comes to price, facilities and services available. It's based on a self-evaluation by the property. Use this rating to help choose your stay! The Doric columns that lead to an elegant oak staircase in the lobby are indicative of the grand decoration throughout the hotel. Impressive parlors with ornate cornices, adorned with marble fireplaces provide an ideal setting for afternoon tea or morning coffee. Elegant accommodation, fine dining with traditional Irish cuisine, rooms that tell a story and the picturesque natural setting, will all comprise make your stay at Ballyseede Castle an unforgettable one. When would you like to stay at Ballyseede Castle? Castle Double Rooms are elegant with a mixture of modern and historic touches. It has a double bed. Located downstairs in Pady's Way. All rooms provide cozy cotton bathrobes for each guest and tea/coffee facilities. This room features a double bed. It is located in the castle. Located within the castle grounds, this beautifully furnished room with a double bed is within the lodge on the main avenue, just 3 minutes' walk away. It offers tea and coffee making facilities, secure parking, and bathrobes. Castle Family Rooms are elegant with a mixture of modern and historic touches. It features one double bed and one sofa bed. 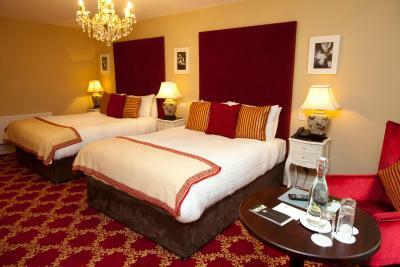 This beautifully furnished room has 2 double beds. It is located in the lodge, which is a 3 minutes' walk from the castle. It offers tea and coffee making facilities, secure parking, and bathrobes. A wonderful large room with freestanding claw bath and beautiful views.Cotton robes, slippers, tea and coffee are also included. A wonderful large room with freestanding claw bath, beautiful views and a separate sitting room.Cotton robes, slippers, tea and coffee are also included. 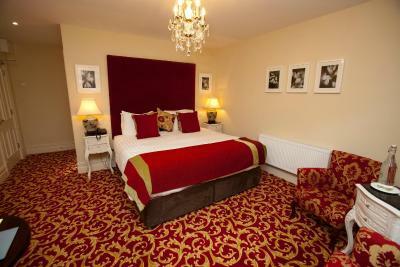 A wonderful large room with a four poster bed and free standing bath. The Lodge is an exterior building and a two minute walk from the main castle. House Rules Ballyseede Castle takes special requests – add in the next step! Ballyseede Castle accepts these cards and reserves the right to temporarily hold an amount prior to arrival. Please note that the Lodge rooms are located in an external building to the castle. The staff. The room. The space. Lovely grounds and room. The food was very good. Bathroom could do with modernising. The house and staff are wonderful. Great breakfast. Really enjoyed our stay. Staff, amenities and food were excellent. This place is just breathtaking! The Castle is magnificent and the accomodation in the Lodge was first rate. Staff were friendly, helpful and always smiling. Was wonderful meeting a fellow Aussie working there. A wonderful place to totally indulge. Beautiful castle. Great castle atmosphere. Four poster bed which was very comfortable. Dinner was superb and all the various rooms you could sit in and relax were quite lovely.